At Dr. Simon Plastic Surgery, we are pleased to be one of the first Miami plastic surgery centers to offer Juvederm. 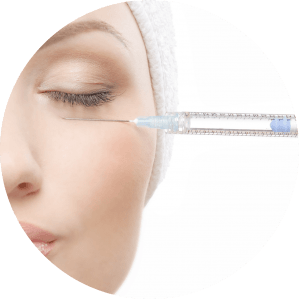 The information below will provide an introduction to this new injectible skin filler. If you have any more questions, or to schedule a consultation, please contact us. As we age, our skin changes. Over time, the natural volume of youthful skin begins to diminish as wrinkles and folds form. But, with Juvéderm™ injectable gel, you don’t have to just sit back and let it happen! Recently approved by the FDA, Juvéderm™ injectable gel is a “next-generation” dermal filler. The smooth consistency gel helps to instantly restore your skin’s volume and smooth away facial wrinkles and folds, like your “smile lines” or “parentheses” (nasolabial folds—the creases that run from the bottom of your nose to the corners of your mouth). Juvéderm™ Ultra and Juvéderm™ Ultra Plus are indicated for injection into the mid to deep dermis for correction of moderate to severe facial wrinkles and folds (such as nasolabial folds). Side effects were usually mild to moderate lasting 7 days or less and included temporary injection site reactions like redness, pain, firmness, swelling and bumps. Juvéderm™ injectable gel is available by Rx only. Because Juvéderm™ injectable gel is a simple, nonsurgical treatment, there is minimal recovery or downtime. So you can make an appointment to stop by your healthcare professional’s office for treatment on the way home from work or the gym, or even while the kids are at soccer practice-and get right back to your life. The procedure: Your healthcare professional will ease the Juvéderm™ injectable gel under your skin to augment, or fill, wrinkles and folds. Following the injection, your healthcare professional may gently massage the treated areas. The procedure is quick and easy. The injection itself usually takes only about 15 minutes. Seeing results: You should see an immediate improvement in the treatment areas. 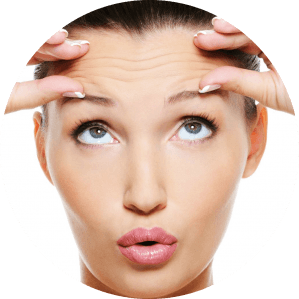 Most patients need one treatment to achieve optimal wrinkle smoothing, and the results last up to 6 months or more.